PA100 with 4 channels and some lush reverb. Still running on four old RCA 6L6GCs. 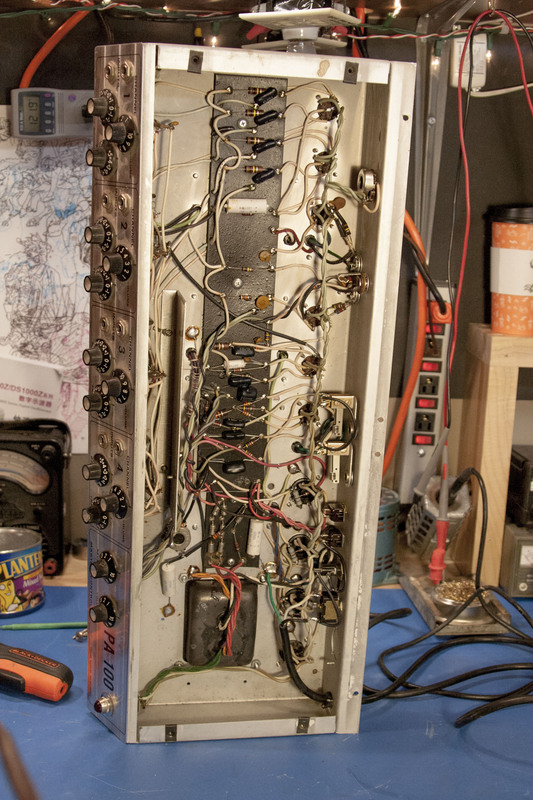 A couple of the 70s preamp tubes had to be replaced though. Deceiving repair. It would put out no signal at all. V3 12AT7 was not working, all the flash material had turned white. Also the 470 ohm cathode resistor was burnt to a crisp. Replaced both and the amp worked. Thought I was done but the reverb was kind of weak. 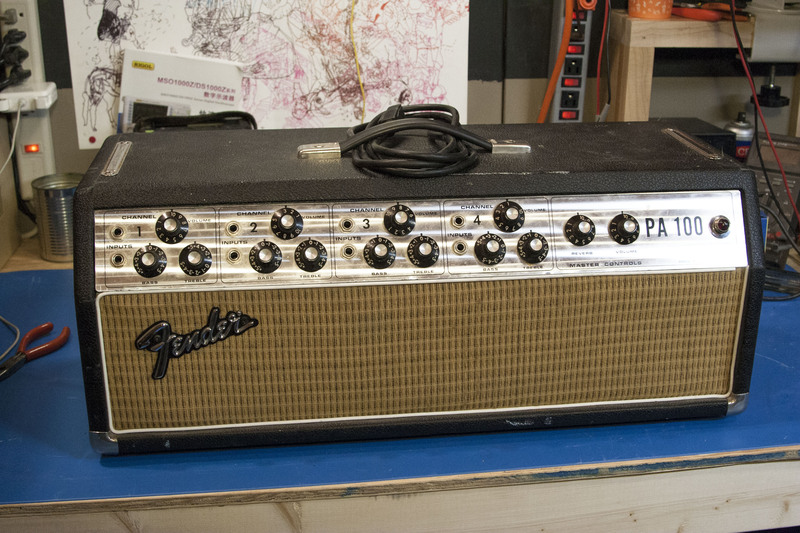 Eventually realized it needed a new reverb transformer but was kind of deceived for a minute because I thought it was weak because the head was sitting on my bench and not on the cab, getting the physical vibration. Plate voltage was there on the primary but the secondary side was not able to drive the reverb tank too well. 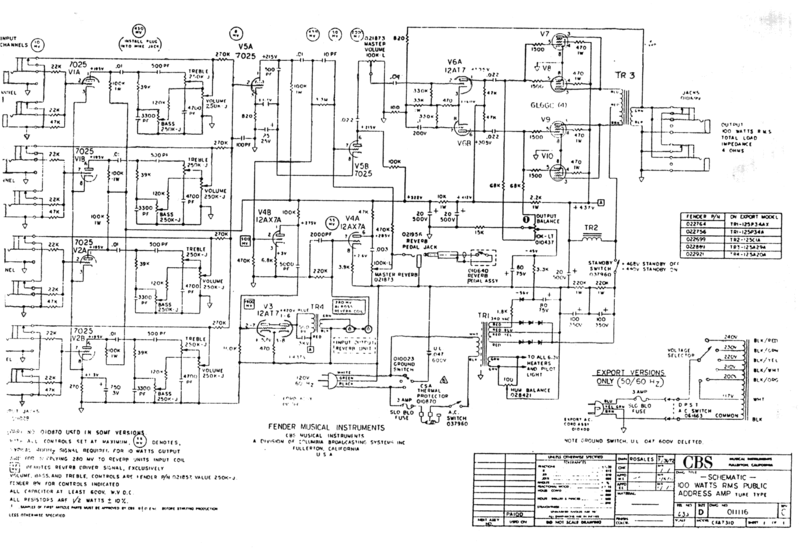 Fender PA100 schematic. Cool amp with four identical channels. You can bridge them together for a more aggressive sound if you desire.